Here at JRP Services, we know trees. We know tree health and tree fertilization; we know tree pruning and tree topping; we know tree root barrier; we know stump removal. We even provide emergency tree services. In essence, if there’s anything tree-related, we’re the crew to call. We like to think if there’s any tree service to perform, then we can do it. In this way, we’re your one-call, all-inclusive tree service business. Let us attend to all of the tree needs on your property in one fell swoop. Are you looking to prune trees whose limbs are growing into your yard? Are you ready to tear out that stump that marks the center of your sod? Is the foliage on your oak blocking the sun for your young maple? And is that old ash tree blocking the picturesque view from your landscape? Perhaps your sycamore is looking more sick than alive. Let us lop off those over-reaching limbs. Let us grind that old stump down into nothingness. Let us prune away a few of those leafy branches on your oak, and let’s get that ash tree back to tame. We can also take a look at your sick sycamore, and we’ll fertilize and revive the ol’ gal. 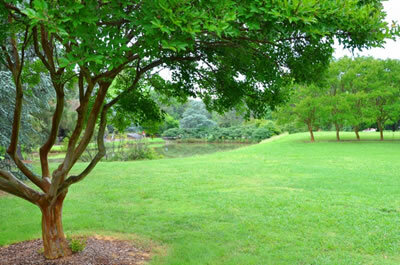 Give JRP Services a call and we’ll get your yard, and your trees, back to lush and lively. JRP Services provides tree services for folks throughout Houston, Texas. Learn more about our full list of tree services here.